As soon as it came out that day for Malaysiam cinema, 3D tickets were bought for two. If you watch at Golden Screen Cinema GSC you would need to watch it at the exact date. But, I watch at cinema other than GSC it had this show peek which allowed cinema to show new movie one day earlier than the date of launching which most cinema in Malaysia such as GSC will be showing the new movie at the next day. It happened for the movie Amazing spiderman 2. It supposed to be showing on Malaysian cinema at May 1, 2014 but I was able to watch it on April 30, 2014. So the same thing happened to the movie X men Days of Future Past as well. This movie so great. It emotional attachment is perfect and so many good actor and actress. There were some really emotional scenes which will bring teary eyes to the audiences especially when Wolverine tried to convinced young professor X to look into his mind for the future incidents. I would rate this movie 10/10. However, it is not really favorite for some people. Some said, there were little fighting scenes. I must say introducing Flash into the movie is kind of funny and amazing. He is so fast !! 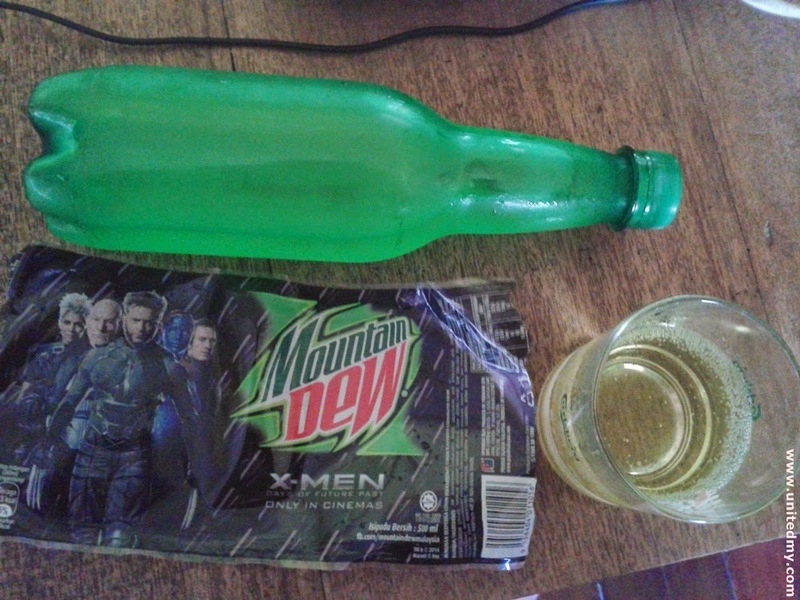 Back to Mountain Dew and X Men Days of Future Past, Mountain Dew Malaysia is giving out merchandise inspired by the movie. The only condition you need to meet is participate in the contest. If you like to earn your chance to win some X Men Days of Future Past merchandise, do not hesitate to join ! all you will need to buy Mountain Dew 500ML with selected flavor and follow the instruction ! !